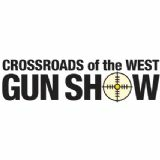 During the last year, Crossroads of the West Gun Shows attracted more than half a million guests, more than any other gun show in America. Crossroads of the West Gun Shows are America's Best Gun Shows. All of our shows offer hundreds of tables to meet the needs of everyone, from the once a year hunter to the avid collector.